Oh hey, Clarins, I see you’re making my makeup bag feel all fresh and bright and pretty. I’d seen the peachier version of this cream blush used on a photoshoot before, so I was excited to see the new rose version of the multi-blush. It’s so pretty! 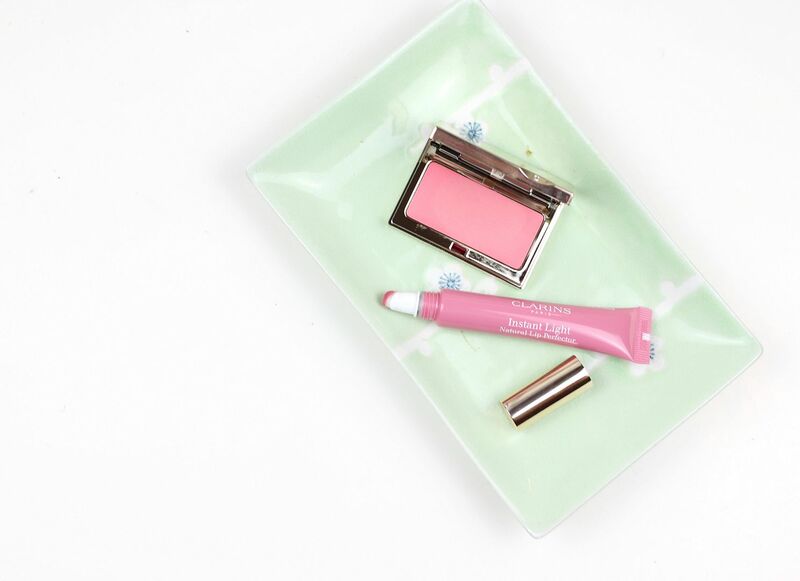 This is the cream blush for those who are scared of cream blush, because this delivers a soft whisper of colour to the cheeks. It’s also teeny tiny, and has been thrown into my handbag to use as a quick little touch up on the go. I find this blends best with the fingers as well, so it’s the easiest product for a quick flush. While we’re on the subject of gorgeous low-maintenance makeup, there are new shades of the tastiest lip product going. Yes, I judge lip products on their taste. 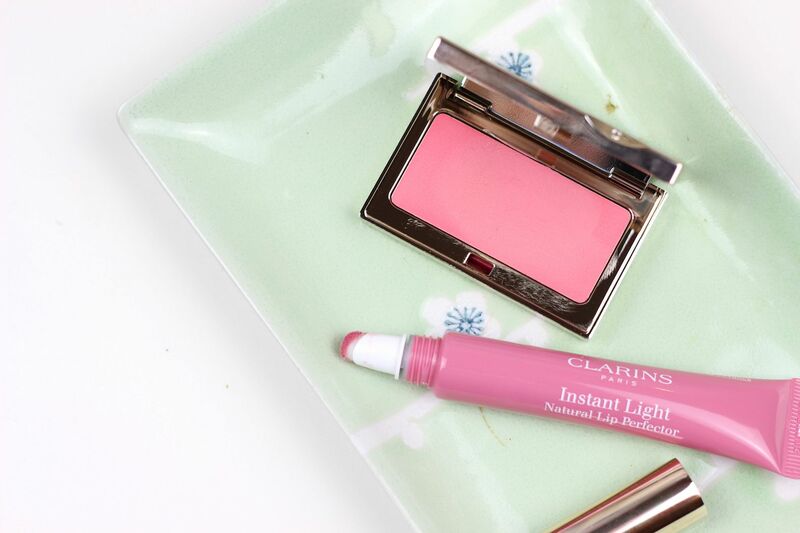 The instant light natural lip perfector in toffee pink shimmer is the perfect everyday shade, and reminds me of a balmier MAC Mehr. 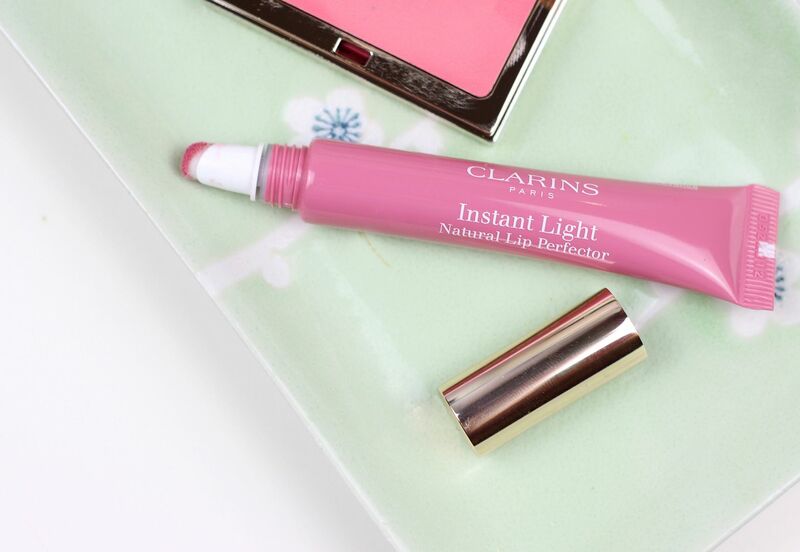 Another perfect one to sling in your bag, because you can apply this sans mirror and know that your lips are all glossy and polished. Sometimes I need a break from a matte lip. Sometimes. If you liked this post, you might like this post on what’s new from theBalm or what’s new from Charlotte Tilbury.